The Boston Tea Party was a political protest that occurred on December 16, 1773, at Griffin’s Wharf in Boston, Massachusetts. 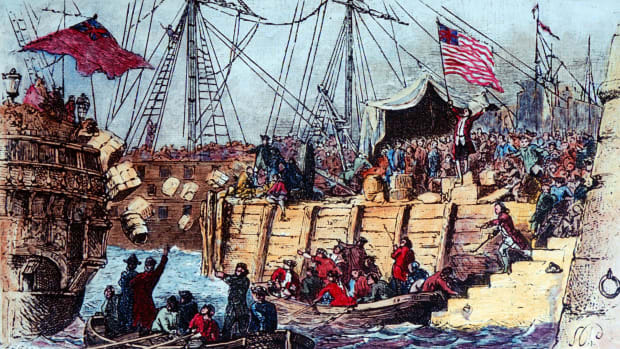 American colonists, frustrated and angry at Britain for imposing “taxation without representation,” dumped 342 chests of British tea into the harbor. The event was the first major act of defiance to British rule over the colonists. It showed Great Britain that Americans wouldn’t take taxation and tyranny sitting down, and rallied American patriots across the 13 colonies to fight for independence. In the 1760s, Britain was deep in debt, so British Parliament imposed a series of taxes on American colonists to help pay those debts. 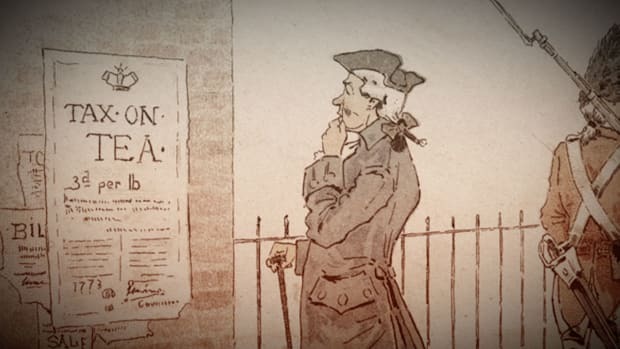 The Stamp Act of 1765 taxed colonists on virtually every piece of printed paper they used, from playing cards and business licenses to newspapers and legal documents. The Townshend Acts of 1767 went a step further, taxing essentials such as paint, paper, glass, lead and tea. Britain felt the taxes were fair since much of its debt was earned fighting wars on the colonists’ behalf. The colonists, however, disagreed. They were furious at being taxed without having any representation in Parliament, and felt it was wrong for Britain to impose taxes on them to gain revenue. On March 5, 1770, a street brawl happened in Boston between American colonists and British soldiers. Later known as the Boston Massacre, the fight began after an unruly group of colonists – frustrated with the presence of British soldiers in their streets – flung snowballs at a British sentinel guarding the Boston Customs House. Reinforcements arrived and opened fire on the mob, killing five colonists and wounding six. 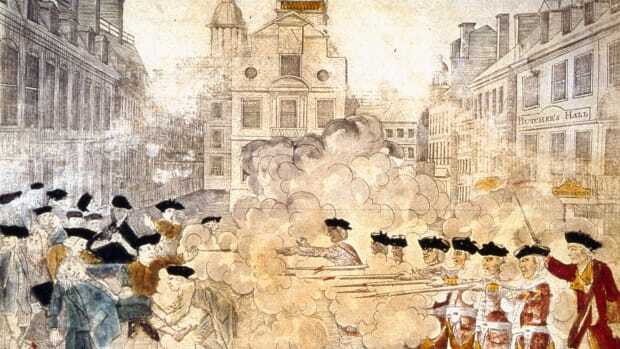 The Boston Massacre and its fallout further incited the colonists’ rage towards Britain. Britain eventually repealed the taxes it had imposed on the colonists except the tea tax. It wasn’t about to give up tax revenue on the nearly 1.2 million pounds of tea the colonists drank each year. In protest, the colonists boycotted tea sold by British East India Company and smuggled in Dutch tea, leaving British East India Company with millions of pounds of surplus tea and facing bankruptcy. In May 1773, British Parliament passed the Tea Act which allowed British East India Company to sell tea to the colonies duty-free and much cheaper than other tea companies – but still tax the tea when it reached colonial ports. Tea smuggling in the colonies increased, although the cost of the smuggled tea soon surpassed that of tea from British East India Company with the added tea tax. 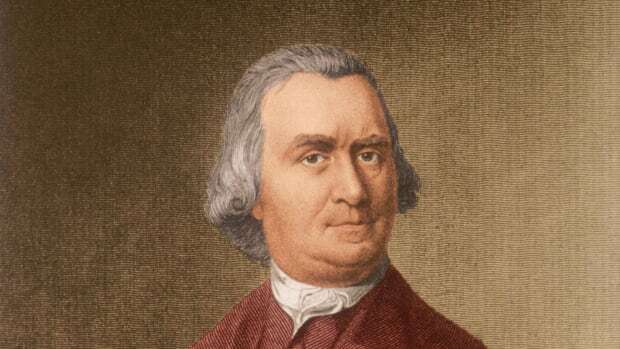 Still, with the help of prominent tea smugglers such as John Hancock and Samuel Adams – who protested taxation without representation but also wanted to protect their tea smuggling operations – colonists continued to rail against the tea tax and Britain’s control over their interests. The Sons of Liberty were a group of colonial merchants and tradesmen founded to protest the Stamp Act and other forms of taxation. The group of revolutionists included prominent patriots such as Benedict Arnold, Patrick Henry and Paul Revere, as well as Adams and Hancock. Led by Adams, the Sons of Liberty held meetings rallying against British Parliament and protested the Griffin’s Wharf arrival of Dartmouth, a British East India Company ship carrying tea. By December 16, 1773, Dartmouth had been joined by her sister ships, Beaver and Eleanor; all three ships loaded with tea from China. Governor Thomas Hutchison refused to allow the ships to return to Britain and ordered the tea tariff be paid and the tea unloaded. The colonists refused, and Hutchison never offered a satisfactory compromise. That night, a large group of men – many reportedly members of the Sons of Liberty – disguised themselves in Native American garb, boarded the docked ships and threw 342 chests of tea into the water. Did you know? 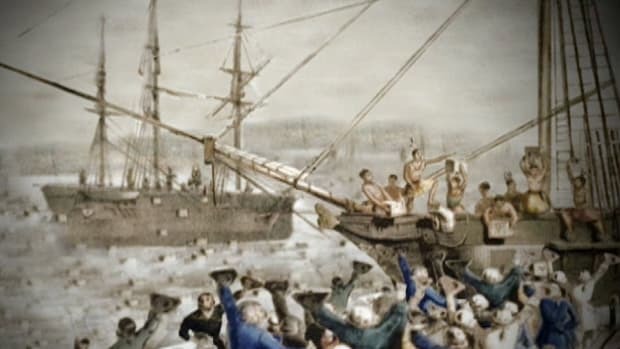 It took nearly three hours for more than 100 colonists to empty the tea into Boston Harbor. The chests held more than 90,000 lbs. (45 tons) of tea, which would cost nearly $1,000,000 dollars today. While some important colonist leaders such as John Adams were thrilled to learn Boston Harbor was covered in tea leaves, others were not. George Washington claimed Bostonians “were mad,” and loathed the destruction of property. Benjamin Franklin insisted the British East India Company be reimbursed for the lost tea and even offered to pay for it himself. No one was hurt, and no property was damaged (other than the tea and a padlock) or looted during the Boston Tea Party. The participants reportedly swept the ships’ decks clean before they left. Thanks to their Native American costumes, only one of the tea party culprits, Francis Akeley, was arrested and imprisoned. But despite the lack of violence, the Boston Tea Party didn’t go unanswered by King George III and British Parliament. Britain hoped the Coercive Acts would squelch rebellion in New England and keep the remaining colonies from uniting, but the opposite happened: All the colonies viewed the punitive laws as further evidence of Britain’s tyranny and rallied to Massachusetts’ aid, sending supplies and plotting further resistance. 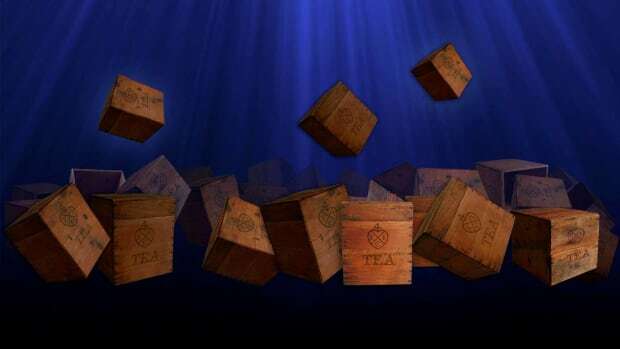 A second Boston Tea Party took place in March 1774, when around 60 Bostonians boarded the ship Fortune and dumped nearly 30 chests of tea into the harbor. The event didn’t earn nearly as much notoriety as the first Boston Tea Party, but it did encourage other tea-dumping demonstrations in Maryland, New York and South Carolina. Many colonists felt Britain’s Coercive Acts went too far. On September 5, 1774, elected delegates from all 13 colonies except Georgia met in Carpenter’s Hall in Philadelphia for the First Continental Congress to figure out how to resist British oppression. 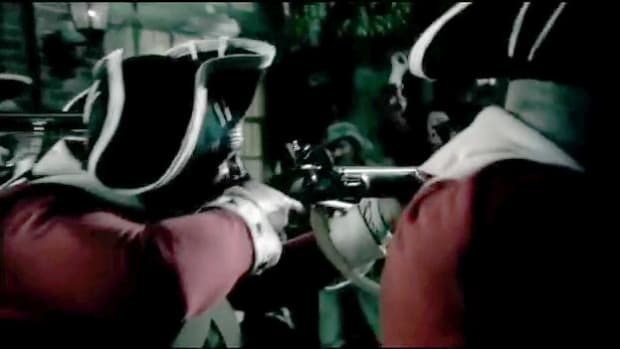 Britain didn’t capitulate and within months, the “shot heard round the world,” rang out in Concord, Massachusetts, sparking the start of the American Revolutionary War. A Tea Party Timeline: 1773-1775. Old South Meeting House. The Boston Tea Party. The Colonial Williamsburg Foundation. The Boston Tea Party. Massachusetts Historical Society. The Boston Tea Party, 1773. EyewitnesstoHistory.com.